What is Music without Bass?“Nothing”and that’s why I have made this Power Packed List ofBest Bass Earbudsor In-Ear Headphones, for those who like Mind Blowing Bass Headphones. When it comes to traveling, nothing is a better companion than a good playlist of our favorite songs and a Nice pair of Best Bass Earbuds. When you have a good playlist of songs on your tablet or smartphone and good bass earbuds, then your trip will know no boredom. Headphones are bulky and in some cases, it becomes a hindrance. Earbuds are the solution to this problem which is more compact with the incredible bass quality. So, guys as you know, I Like Bass and I know, I am not the only one, who likes some super SolidBass, which can hit the Ear Drums, but just to be clear, make sure you don’t listen to them on Full Volume for long duration, because it can F**K your Ears. Now, that I have warned about the consequences, let’s have a look on some of the fantastic earbuds with bass that you could buy for a good experience of fine music. 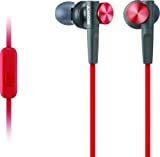 And I think you will also like Some of theIn-Ear Headphones Under $50along with theList of Most Durable Earbuds. So, guys just scroll down and have a look at the most super power bass earbuds collection and make sure you share this with your friends. There is a leap in the sound quality of earbuds in each generation of earbuds. SONY MDR-XB90EX is one of the best choices when it comes to selecting an earphone that keeps quality even after later generations for best bass earbuds under 100. It gives the well-liked sound quality at its price range. As the price is below $100 it is affordable but is approved earbuds for bass. It uses a 16mm driver in place of the regular 13.5mm driver. It gives a lot of difference when it comes to the feel of music and bass. The cord is made of durable material which is also tangle free. This makes it easier to carry in pockets without the mess of getting it tangled. The earbuds are designed ergonomically which makes it a comfortable fit in the ear. The material is very soft and can be recommended for long usage. The design of the buds also helps it to stay in position so that it doesn’t fall out easily. 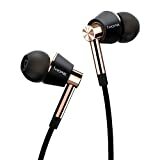 The Advances Direct Vide technology used by Sony in these earphones provides a better sound enhancement and also adjusts the bass so that it is just right. Some earbuds have hurting bass that is not preferred by most users or less bass. Sony technology provides the optimal amount of. Though it is user adjustable it would be right for most people. The latest design also uses the lightweight material so that the earbuds are lightweight and doesn’t fall off easily. Even though the earbuds are not noised canceling earphones they provide this feature through design. This helps to avoid some noise when there is a lot of noise in the surroundings. One feature it lacks is the built-in microphone. At the price point that this product is sold it not a problem. JUX HAFZ1X Xtreme Xplosives is a wired earphone that is compatible with all devices that have an audio jack. The earphones which come with the phone are fine but for every music lover the experience is just not enough and they yearn for something richer. The JUX HAF1X does not disappoint. We all hate the fact that the earphones get tangled in your pocket. Well, that is prevented by the carry case that is provided along with the earphone. The earphone is provided with a 1.2 m audio cable which is sufficient for any earphone. The 1.2m cable is common among all the earphones released nowadays. The earphone has a 3.5 mm jack that is compatible with all the phones and mp3 players available in the market. The earphone is capable of canceling all the background noises for a better music experience. Powerful bass: The bass of the headphone is very high and powerful. It amplifies the sound in a very good way which is a treat for all the music lovers. Great Sound Quality: The sound quality of the earphone is good due to the increased size of the driver. Drivers are usually in the size of 8mm but this earphone is packed with a 10mm driver. Reasonable Price: The pricing of the product is very reasonable. Large earpieces: The earpiece is very large and can become uncomfortable after long use. The large size can be a problem as it causes ear problems after prolonged use. 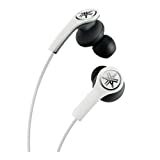 Sony MDRXB50AP is a wired earphone that is compatible with all devices that have an audio jack. The earphones which come with the phone are fine but for every music lover the experience is just not enough and they are ready to invest in a better earphone for an enriched music experience. Sony MDRXB50AP does not disappoint. It packs all the goodness of an amazing earphone with an amazing extra bass. This earphone is definitely among the contenders of the best bass booster earbuds. The sound quality of the earphone depends on the impedance. Lower impedance is found on lower end earphones, The Sony MDRXB50AP is such an earphone with a lower impedance. Higher sensitivity is found in the earphone which is common in all the low- end headphones. The impedance and the sensitivity are main factors which determine the sound quality of the earphone. Higher the sensitivity, higher the sound quality. The earphone is provided with a 1.2 m audio cable which is sufficient for any earphone. The 1.2m cable is common among all the earphones released nowadays and it’s one of best bass earbuds under 50. Reasonable Price: The pricing of the product is very reasonable, given the quality of the bass that is found in the earpiece. The recently launched Shure SE846-CL is a superior quality earphone having incredible features for ensuring high-end isolation. Shure SE846-CL comes with versatile accessories and some unique features. Although these earphones are a bit expensive and may not be accessible to many, but such uniquely engineered masterpiece deserves such cost. Detachable Cables-This is one of the most prominent features of these earphones, which guarantees great user experience. Impressive low pass filter technology providing high-quality audio. This is one of the peculiar features of Shure SE846-CL, which has been used for guaranteeing complete isolation from the surroundings. Impeccable Sound Quality – Users won’t have to try any other earphone in case they opt for Shure SE846-CL. These earphones ensure sound quality which has never been experienced till now with every aspect of sound and tuning been analyzed and thoroughly sharpened. A great number of Accessories including two detachable cables – A great number of accessories, which foster users with a great experience and its the best bass earbuds you can buy. Inline Volume Adapter – This feature allows this earphone to be more user-friendly and much more user interactive. This is one of those features which have been lacking in some of the recently launched and in-market earphones, hence gives Shure SE846-CL an upper hand over others. Unmatchable Design – Overall design of the earphones is highly adorable, with a shiny polish and sleek sides, with the transparent varieties giving a more tech-driven look. 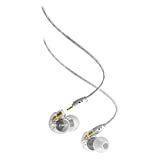 Very Expensive – Although Shure SE846-CL comes with those features, which are truly unmatchable and unbeatable, but the cost of these earphones is way high, costing around 1 grand.Henceforth buying them would ensure a big hole in your pocket. 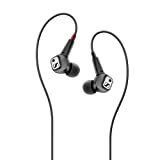 Sennheiser IE80 can be considered as one of the ideal earbuds for bass. It has a feature of tunable bass. This gives the user customizable bass levels. This can be also used when the listener likes different bass level for different songs. At the price point that these earbuds come in, they can be considered as the best earbuds as of 2019. It uses all the latest technology for manufacturing that increases the sound quality. They are best in the category of astonishing bass earbuds. One other that set apart these earbuds are the replaceable cables. These are not found in any other earbuds. This gives a complete customization for the user to adjust the look and feel of the earbuds along with the sound quality. It comes with a built-in microphone which has good audio quality. It is able to cancel out some of the noises in the surroundings without any modifications. It is a bit bulky as it houses so much technology in the earbuds itself. But this gives an extra build quality and look. Another factor that concerns most of the Audiophiles is the soundstage. This earphone provides a wide soundstage. The stiff interchangeable cables are stiff and don’t get tangled very easily. The build of the earbud is not plastic and can be durable for rough users. The detachable cable uses a custom two pin connection which is easy to connect and disconnect. The package comes with a hard case to keep the earbuds safe while traveling. It also includes a cleaning tool that can remove dust and small dirt particles from these premium earbuds. The other side of the cleaning tool has a screw which can be used to adjust the based on the requirement of the user. The amazing sound quality comes with a huge price tag. Yamaha EPH-M200BL is the latest in-ear headphones from Yamaha with its distinguishable feature of having an angled design, and excellent quality sound tubes and massive 16mm- drivers. Also, it has got a premium tangle-resistant cable with remote and mic. Clearly, M200 cannot be counted under the earbuds category, it is the best and right product for high bass lovers as it possesses the noteworthy bass earbuds. It comes in with a user-friendly design of having total flexibility beneath the ear tips depending upon the pressure variations. Beta-titanium is an alloy which possesses excellent flexibility and strength properties. It is designed for providing the best ever sound quality and comfort to the user. The design is made uniquely to maintain the shape of your ear canal. The bud design fits help to keep the right resonance and balanced treble. These drivers along with tangential edge technology make M200 have the extra bass earbuds. Available in S, L, M, SS, and LL ear tip sizes for custom fit and best noise isolation features. Remote and cables are designed to make it trendy with its color matching. Possess finger-tip resistant textured material which gives a trendy and classy appearance to it. 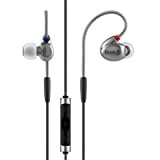 Best ear buds for bass-lovers: With its special design drivers and unique Beta-Titanium sound tube, it becomes the excellent choice for bass lovers. Comfortable design and fit: The flexible design made to perfectly fit into one’s ear canal makes the user satisfied and comfortable. Lacks balanced and clear sound signature. Although affordable; more balanced bass and treble frequency would have been appreciated. RHA T10i is excellent in the ear- headphones made of stainless steel and unique features to redefine the regular norms and standards of the usual in-ear-headphones both in appearance as well as in performance. The best part is that it is so user-friendly that according to one’s music preference they can get high-resolution sound also the bass and treble frequency are modulated accordingly. This is made possible with the 770.1 handmade drivers having a frequency range of 16kHz-22kHz. In fact, the RHA T10i promises to give us the most realistic musical/audio experience. The ear tips can be removed, the filters can be unscrewed replaced with any one of your preference; reference, bass, and treble each having the ability to make modifications within the defined frequency range. Build with Solid steel casing, which Makes it heavy and gives the appearance of having the capability for rough usage. To support this heavy stuff, they have designed flexible wires that would hook around your ears and I think its one of the best bass earbuds under 200 in the Market right now. Comes with 10 pairs of ear tips in various sizes and designs, Two of them are foam pairs; two others are double-tipped rubber while the rest of the pairs are ordinary rubber tips of varying sizes. The best pair of your comfort can be chosen; one of them is guaranteed to fit perfectly into your ear canal for excellent results. A large carry pouch is provided so as to carry your product along with all the filters and ear-tips with ease. Because of the heavy steel casing, the products seem bit massive. It is quite a disappointment for the bass lovers irrespective of all the other sound quality provided. Bluebuds X2 are quality wireless headphones manufactured by a well-known company in the field JayBird. In fact, In fact, X2 is the next advanced version of bluebird X. The brand is generally sportsperson centered. The headphones are available in multiple colors and its the best bluetooth bass earbuds. It is fabricated of hard plastic which is resistant to harsh usage and unintentional bumps. Though it may resemble a lot to its forerunner it offers a good range of enhancements. It includes a new matte finish, excellent sweat proofing, a modified and suitable ear-fit design, a more compact case and improved battery life. It is powered by lithium polymer batteries. Without a doubt, X2 is one the front-runners among the best sounding earphones out there. JayBird Bluebuds X was good but X2 was definitely better. It has proper over and under-ear fit options. Shipped with ear fins of about 6 distinct variations, comfort to the ear is ensured to the user. Foam ear tips are particularly designed for JayBird X2 to achieve highest possible noise isolation and convenience. Effective range is up to 10 meters. Comfortable wireless communication is possible. It can be configured for multiple Bluetooth devices and can pair up to 8 devices. It is compatible with IOS, Android, Windows, and Blackberry. It weighs about 13g and is temperature resistant. It takes approximately two hours for energizing the device. Sound Quality: It has the high-quality audio performance with a profound bass response and sharp clear changes of pitch. This is ideal for Athletes during concentrated training sessions. Battery: This has a satisfactory battery life for a wireless headphone. Cost: It appears to be a little more expensive than what you should afford for the quality it provides. Label: There is no labeling for the left and right side of the ears. Battery: Though decent, there appears to be a scope for improvement. Made by the American company V-MODA, Zn is one of their best products. Fabricated uniquely using liquid metal zinc alloy casting, it provides huge tone which is vibrant and full of bass. They have an amazingly profound sounding bass which is notable and awesome. V-MODA’s Zn is easily one of the best earbuds under $200. Additionally, it consists of flex sport ear latches for those who want added stability during exercise. The flexible hooks loop over the ear, gripping onto the cable and reducing strain on the earpieces themselves. This arrangement also adds balance and minimizes cable noise. Great Dynamic 8mm Driver: Remarkably detailed with impossibly low malformation, the speaker driver consistency is carefully tuned to compliment human limit variation. Three buttons remote mic: This can control volume and soundtracks as well as initiate speech and call controls with a mere touch of the finger. Specially made filters: Acoustic filters are placed between the driver and protection that check the airflow mechanics help in developing the overall acoustics of the design. Tangle-free cable: Claimed to be 20 times tougher than industrial norms, it is not tangible and doesn’t make a mess. Ultra clear sounds: The audio quality is outstanding. The bass and tone are worth the price. Durability: It is temperature resistant. It is also resistant to other environmental factors like humidity and UV radiation. Interface: There is a good chance that one can easily skip some soundtracks when trying to change the volume. Connectivity: It is not wireless. Hence its cables may sometimes be of little inconvenience. Complexity: One may have to acquire some additional tips from various sources to bring out the optimum quality and performance. The Triple driver in-ear phones developed by Chinese companies are one of the best earphones available at around $100. 1More teamed up with a globally lauded sound engineer Luca Bignardi to perfect the final design. It is well devised with nicely finished aluminum parts. It also has a Kevlar reinforced cable that helps in restraining cord noise. The triple drivers sound is perfectly detailed. There is the abundant depth of basses and the quality is fair enough. The median range sounds clear and consistent. It provides the user with a lovely tone balance and good detailing. These headsets do a good job in blocking outside noise, which makes it best bass-heavy earbuds. The handling technology implemented can be conveniently used to control volume, select soundtracks, and answer calls. The handset comes in two distinct colors, black, and gold. This product is a must buy for those who wish to enjoy some peaceful music with absolutely no disturbance. It is composed of three drivers. Two balanced armature drivers and an aerospace grade composite metal dynamic driver. These set the sound range wide and give overflowing bass. They are constructed of aluminum alloys particularly designed to suit your ear canals to provide optimum performance. An accessible 3 button remote allows the user to control music and calls. Affordable price: It’s worth its cost. Undoubtedly it is among the best headphones under $100. Crystal Clear Microphone: It makes conversations sound with clarity even in noisy environments. Comfort: Easy to use and it is a comfortable fit for the ears. The device may get damaged in case you are an active user. Using it on move is not recommended. It does not have the best consistency. Bass quality could have been better. In this aspect too this isn’t the best choice either. Cable is not completely nylon sleeved. The Sennheiser CX200 is a relatively cheap headphone that ideally fits with all your common audio devices. It was developed by a German Audio company Sennheiser. It was engineered with special stereo sound technology that was bass-driven to give powerful and profound bass. The earphones are fabricated entirely of plastic. 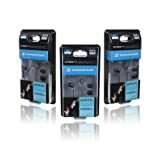 It is a fundamental level headset that is primarily assumed to be used for mobile devices and it is one of the deep bass earbuds under 30 bucks. It can be said it is worthy enough for its price despite a few shortcomings. Its cushioned ear buds provide for a more comforting experience for the ear. The headphones are in fact equipped with neodymium magnet and have a sensitivity of 110 dB/mW. It has a human hearing frequency range of 20-20000 Hz and a total impedance of 16 ohms. It is available in single color silver. This product is a quick buy. It’s crafty and simple to use and provides good quality too. However, it is not an option for a long-lasting headset. They present an excellent and relaxed fit to the ear canals. Ear adapters of different sizes are available as per the requirements. It provides unique bass sound with an equitable and high-resolution stereo music. This plug is very much compatible with most common audio devices like Handsets, Mp3 players etc. It is featherweight and easy to carry and handle. It is indeed cheap for its quality. Also, it generally ships with 2 years of warranty. It has high attenuation capabilities that remove any ambient noise. Hence it works well for noise cancellation. Median and highs are occasionally silenced. There is no microphone present. Hence its functions are limited. The absence of an inline remote restrains the user to operate it freely and conveniently. It is slim, tangible and amenable to cable noises. The BeoPlay H3 belongs to a class of those earphones which fulfill the desire of everyone to have great quality earphones within a reasonable amount. The earphones come with superb noise cancellation guaranteeing extremely quality rich experience in audio listening. Robust – These earphones are robust which ensure their long term use. Together with this peculiar feature, BeoPlay H3 has been designed classically, hence instilling the idea of being unique in appearance in this contemporary world. Classic Design – BeoPlay H3 comes in wide variety colors but their unique classical style differentiates them with their rivals. The classical design paves the way for their unique market value and its one of the best bass earbuds under 100-200 bucks as well. Focused on mids rather than highs- The sound quality of BeoPlay H3 earphones focuses more on refining intense sub-bass content rather than focusing on the high sound notes. Moderately priced -These earphones are really cost-effective and cost something which is totally legible for such high sound quality. People who are fond of listening to high-quality sounds will find this as a suitable option costing not so much. Ultra low weight- The low weight and the compact design ensures the acceptance of these earphones by the consumers on a large scale. This feature juxtaposed with robustness make BeoPlay H3 stand out. Soft ear tips- Soft ear tips ensure long duration listening, providing users with amazing experience of strain less and hassle-free listening. The comfortable positioning of the microphone and remote controls-This helps the user to avoid regular interruptions and adjustments while being on audio or video chat. This adds to high-quality user –experience and to their utility. The isolation provided is not outstanding – Isolation is provided by these earphones, but not to very great level. Some of the other products in the market may give BeoPlay H3 a tough completion in this regard. May lack utility for those listening high bass-audio – As BeoPlay H3 earphones are more focused on mid-level sound quality, this may result in not so much utility for those users who are fond of listening to high sharp quality audios. Sennheiser is a famous and trusted company when it comes to electronic gadgets, especially headphones and headsets. That fact that it is an online store does not hamper its credibility at all. Headphones may be uncomfortable for someone who travels quite often. So, when using earphones, obviously one wants to go for the most superior ones. The Sennheiser CX 300 II Precision Enhanced, urBeats Wired In-Ear Headphone, MEE audio M6 PRO promises that and much more. So they would love to discover the same quality they can have in headphones to be available in earphones. The CX-300 model is good value for money with improved sound isolation, speaker systems with much higher quality, better clarity, and bass-driven stereo sound quality. This upgraded model by Sennheiser makes a promise to not disappoint its users. They are the best bass earbuds among all the latest models. The Sennheiser CX 300 II model has high-quality speaker systems which are dynamic in nature and thus provide improved clarity. The design of these in-ear earphones is such that it provides a comfortable fit for all sizes and shapes of ears. The ear adapter system for this product is customizable, hence giving the perfect fit for all ear canals. The earphones have gone through an in-depth research to compare our listening ability, the average desired parameters when it comes to sound and the quality of sound that these provide. The design of the cable is made asymmetrical, that is the length of the right and left cables are not the same. This is to avoid the tangling of the cables. It is a wired type in-ear earphone with 3.5 mm single pin. The Sennheiser CX 300 II model is easily compatible ( for a listen to the only mode) with all electronic gadgets, even if they are the latest ones. They are optimized for certain popularly used products like iPhone, iPad, mp3, portable gaming systems and also CD or DVD players. Customizable adapters for ears make it very comfortable for all kinds of users as it is on its own scale, personalized. The purchase includes a carrying pouch for convenience. This would be of much help to travelers as the probability of losing decreases. Another advantage of the CX 300 II model is that it comes with a two-year warranty. That says a lot about the company’s confidence in their product. The Sennheiser CX 300 II Precision Enhanced model has great durability. Unlike the popular wireless earbuds, these do not require charging again and again but they do give the same kind of sound quality, if not better. Sennheiser that is the asymmetrical cable. Customer reviews reveal that the sound amplification of the right side earbud is greater than that observed for the left side. The jack for the connectivity of the device was sometimes found to be not compatible with the audio jacks of some laptops and mobile phones. The urbeats wired in-ear headphones are the latest model of earphones by the Beats Company. It has superior sound quality and gives efficient, high bass quality similar to headphones, but is obviously much better than headphones in the sense that it is portable, light and easy to use. It has four different sized silicon speaker buds so that it can provide a perfect fit for a wide range of different sized ear canals. This product is also very user-friendly as it has a mic, volume control buttons, and other facilities. Solid metal body: The housing of these earphones is solid metal which gives good sound isolation feature. This feature is highly desired in any headset so that outside noise disturbances can be reduced. Remote Talk cable: The urBeats in-ear headphones have another added feature of the remote talk cable. Using this cable the user can easily control the volume of music, the playlist, FM channels or even attend calls. Flat cables: the cables used for this product are designed to be flat. This feature may seem useless but actually, prevents the tangling of the earphones. Size adaptability: It has different types of ear tip fittings inclusive in the box thus making it more comfortable for several customers. High-quality bass: These earphones have the big bass feature as is traditional for the Beats Company. This is why there is no distortion at high volumes too, which is why I have added this to this list of the best earbuds with bass and I am sure you will love this one. The sound quality is equivalent to any headphone. The design provides flexibility in design which allows you to have the optimum fit and overcomes the common problem in in-ear pieces that is uncomfortable fits. This Beats product has a stylish and bold look that is liked by a majority of people. The cables are tangle free and do not become a cluster all the time. Though the bass is of superior quality, it may seem too much for a certain number of people. The durability of the urBeats Wired in-ear headphones is not as high as one would expect according to the price involved. The MEE audio M6 PRO is among the best noise-isolating earphones manufactured in the recent years. It has really good bass quality with studio tuned sound. Its design is such that is comfortable to the users even they have to use it for long hours. This is because of the fit which is over the ears. It is protected from outside noise disturbances because of in-ear design. Its design is such that is comfortable to the users even they have to use it for long hours. This is because of the fit which is over the ears. It is protected from outside noise disturbances because of in-ear design. Comfortable fit: The in-ear plugs are the universal-fit type and also have detachable cable feature with plugs. Noise isolation: This product has really good noise isolating feature which makes it suitable for use both on and off the stage. This is a feature which is in popular demand as no one wants disturbances. Additional features: The MEE audio M6 PRO has headset features that include a mic, remote and volume control. These features can be used for applications in smartphones, laptops, and tablets among other electronic gadgets. Durability: The durability of this product is quite high. It even has detachable cables for added durability. Flexibility in size: The purchase of this product includes six sets of silicone ear tips plugs which cater to a wide range of people and their comforts. Design and looks: Like most MEE products, these earphones to have a classy design. The adapter of these is gold-plated. Well, these perticular earbuds, have been my personal favorite, because it’s under my budget and it makes a great bass earbuds with awesome sound quality. The sound quality is really good with adequate clarity. The build quality is much better when compared with other earplugs available in the market in the same range. It comes with an additional carrying pouch for ease and for safe keeping of the earphones. The clarity is very good. At the time of purchase, you get two cables which further increases the durability. There is slight sibilance in these earphones. Customers have observed sudden disturbances in audio during use. The design is not very foolproof as the memory cable can pinch the ears. Though the company claims it to be universal-fit, according to some customers it may be difficult to find the perfect fit. The cables are very susceptible to tangling. With the great rating and the low price tag, these headphones just can’t be beaten. These in-ear headphones come with a microphone and volume control. They are extremely lightweight and small, but they have a strong, bass-driven sound. Perhaps the most outstanding aspect of the Seasky E-10 is the price. They can be found at a price that’s unheard of for most earbuds. Combine the powerful bass, low price, and overall quality, and you have yourself a great pair of earbuds. You can get this pair of earbuds in either black or white. Belkin manufactures them, and if you’ve ever heard of them, then you’ll know they’re of high quality. The 006 comes with a microphone and an enhanced bass. Plug them in and you’ll hear what you have been missing. These headphones are the perfect complement to any mobile device. Any kind of music or entertainment will come to live through them. They are a quality pair sitting at a low price – definitely worth checking out. This pair of earphones from Monoprice is also quite cheap, though nothing compared to the E-10 . These are a very solid pair. It looks like Monoprice has come out with another hot seller. The most impressive feature of this headphone set is the price. You can get the pair in black, silver, pink, or white, and they have an extremely stylish design. The sleek, cool design will prompt friends and strangers alike to ask you where you got them and how much they cost. Little will they know how much you paid for them – unless you tell them. Just let them think you paid a couple of hundred dollars for them. The only drawback with the Monoprice is that they aren’t the most comfortable headphones out there, and the bass isn’t as strong as advertised – which, of course, is quite unfortunate. ​Drawbacks aside, these are the ideal headphones for the music lover who’s always on the go. They’re highly portable, compact, and cheap. They’re tough, resilient, and easy to carry around with you. The cord will connect to almost any popular music device, phone, or stereo speaker system. They are worth the time of any budget oriented person. Do you want it to sound like you’re at a concert or club, but you don’t want to leave the comfort of home (or disturb those around you)? Just purchase a pair of bass headphones and enjoy deep, rich sound from the comfort of your sofa inside your home. Headphones with awesome bass offer that deep, rich, heartbeat-like quality that really makes you want to get up and dance. There’s only one problem, the neighborhood doesn’t like the singular, pumping sound of a great bass as much as you do. What’s the solution? A great set of bass earbuds. The problem is that very few earbuds come with a good bass. This is exactly why we decided to make this resource available. To make it easier for you to find the best earbuds for bass that fit your needs. Bass earbuds come with a number of different features to boost the deep bass of whatever you’re listening to. Soft ear cushions, inline remotes, and noise isolation technology all work together to keep your bass heavy and you looking stylish and comfortable. Bass earbuds should deliver excellent bass, but they should also have excellent sound quality. If you’re a true audiophile, then bass isn’t all your care about. You also want specs that will serve up top-notchsound quality, go with your gear, and fit into your lifestyle. Sound quality is everything. Headphones that are designed to enhance the bass are the first place to start. Your earbuds shouldn’t just sound good though. They should look and feel great, and they should be comfortable too. If you really likeheavy bassin your listening experience, then there is no substitute for a pair of bass-focused earbuds. Why limit your listening experience to what an ordinary set of earbuds offers? You can purchase earbuds that are designed to deliver a serious bass experience. Let’s take a look at four pairs of earbuds that will offer you an excellent bass-centric experience. Most of them are really, really cheap, and you’ll spend a whole heck of a lot less than you would on an expensive stereo speaker system (and a stereo speaker system that will disturb your roommates, friends, and neighbors). So, without further ado, let’s get to the four best earbuds for bass. Buying the smart bass headphones isn’t just about selecting headphones with the loudest bass; it’s about finding headphones that deliver full, clear sound without compromising on the bass. In this guide, I’ll share my analysis for the intellectual bass headphones on the market right now that fulfill this promise. Bass. Isn’t that what we all care about in popular music? Loud beats, thick basslines, sharp snares. Good bass can make or break songs – and the headphones you use to listen to them. But too often, headphone manufacturers make the mistake of confusing “good bass” with “loud bass”. Loudness is important, but you need clarity to balance things out. Headphones that focus too much on the low-end often feel “rumbly” and disorienting. This was my objective in creating this roundup on the intelligent bass headphones. I wanted to find not just headphones that deliver loud bass, but a pleasurable listening experience – robust mids, clear highs, and round bass. Search for bass headphones and you’ll be confronted by hundreds of options. Besides well-known brands – Beats, Audio Technica, Sony – there are countless startups, Chinese makes, and small brands offering surprisingly competent products. When it comes to the sound output devices, there is no doubt that the quality of sound will always be the top factor for ranking a product. When we covered our best bass earbuds 2019, the things were quite different back then. Today, the list has changed a lot and for the top pick, i have chosen Sony which is not only an inspired product for good bass but it also works great while delivering the same performance on the all devices as well. Besides the sound quality, the durability and portability features of the earbuds also matter a lot and at the end, we do consider the factor of price as well because even though most of the times you will afford any earbud, it could still be a problem at times. We also care about the design of a particular headset and how it should rest well inside the ears otherwise, it would be considered among the features which cause inconvenience. 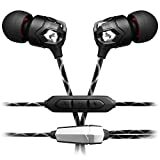 In these reviews on best bass earbuds under 100, we have covered all the major features working behind these rankings. Headphones are technically complex products. Although the basic design is rather simple (which is why you seeearphones selling for a few dollars), small differences in construction and materials leads to a big difference in quality. Before you can start evaluating bass headphones, it’s important to know how they work. Headphones are made up of small speakers housed inside a shell or case. This holds the headphone speakers together, amplifies the sound, and stops it from escaping.Open back headphoneshave, as you’d expect, an open case. This allows sound to come in and out of the speakers, creating a “roomier” sound profile. The main component of a headphone is called thedriver. The driver consists of a diaphragm, a permanent magnet, and a metal coil (sometimes called a “vocal coil”). The driver is connected to the audio unit (such as your phone) by a pair of wires. This current passes a tiny electric current to the drivers. When electric current flows through the headphone driver, it charges the metal coil and turns it into an electromagnet. This electromagnet can reverse its polarity based on the current. Thus, it is repelled or attracted to the permanent magnet in the driver based on current. The rapid back and forth movement of the coil causes the diaphragm to vibrate in accordance with the sound waves. This vibration of the diaphragm produces sound in your ears. Fit and Comfort –Since these earbuds are fitted onto the head or ears, they have to be nicely and comfortably fitting. This is why you have to factor in these two parameters. The best earbuds have to be adjustable. This is to let them grow with your head or be usable across several heads. Ergonomics –It goes without saying that the earbud of choice has to possess excellent ergonomics. This simply means that it has to be both efficient and comfortable. You do not want to strain your head or ears while enjoying your favorite music, would you? Scrutinize the features and specifications thoroughly to ascertain this. Connectivity –A good earbud has to allow you to stream audio signals from as many different sources as possible. This is to bring about the benefit of maximum convenience and greater enjoyment. This is why you have to see to it that it accommodates many connectivity options possible. The must-have connectivity options are Bluetooth, Wi-Fi, USB, andcoaxial cables. Sound output –How many watts of sound output may the earbud exude? A good earbud has to exude as high a sound output as possible. This is to eliminate any ambiguity and dispel any doubts that may arise. It also has to be able to suppress background noise to prevent it from interfering with the quality of the final output. Power consumption –You do not want to spend too much to power your earbuds, would you? You should thus settle for one that consumes negligible amounts of electrical power possible. Check the voltage rating of the earbud you are interested in to ascertain this trait. Proceed to settle for one that has the least rating, all factors considered. Material Construction –Since these are devices that utilized repeatedly and continuously, it is necessary that they last the longest duration of time. This can only be assured if they are made of the strongest materials available. Stainless steel is by far the strongest materials available. The best materials should also be waterproof. The bass lover on the go doesn’t have a lot of good options. Unfortunately, most earbuds aren’t very good a delivering a rich and refined bass. The ones found here are some of the best alternatives around. So, fellow Bass Lovers, I think you are satisfied with my collection of the superior Bass Earbuds and I am sure you will buy at least one of these because it’s all about Music and Bass.